With Class III and IV futures prices showing signs of strength over the past week to 10 days, they may be a sign that the worst is over for milk prices and dairy budgets. 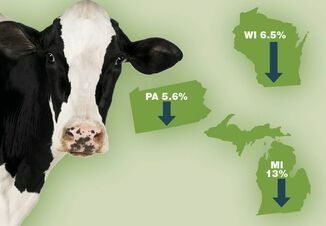 "I think the one thing we can say with some confidence is that we've already hit bottom in milk prices," says Mark Stephenson, a dairy economist with the University of Wisconsin. "So farm milk checks are as likely to be as bad as they're going to get this year, and they are on their way up. "The real question: Are we going to take that $2 jump or more that the futures markets show, or is it going to be a little softer than that? ‚...Personally, I don't think that the recovery will be explosive, and we'll see these prices creep back up to a more comfortable level." 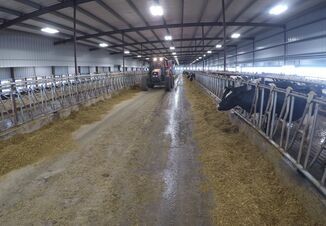 Fellow economist Bob Cropp agrees, saying milk production both here in the United States and world-wide will likely slow as summer temperatures rise. 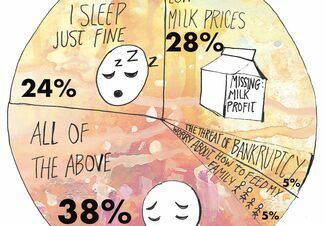 "Milk prices are worse around the world, and milk production may be starting to slow worldwide. That may help," he says. Although the European Union has been stockpiling skim milk powder, with some 150 million metric tons now in storage, these levels aren't anywhere near historic highs or even volumes reached in 2009, says Stephenson. "If we can reverse some of this stockholding and maybe bleed those products off, maybe we're getting into a recovery," he says. "[But] it will be a while before we've had a full-blown price recovery." Adds Cropp: "Clearly, 2017 will be a better year." View Cropp and Stephenson's full commentary here.